While almost entirely the talent on offer from touring Americana artists is undisputable, the reception and turnout to support these performers up and down the country can often be patchy. 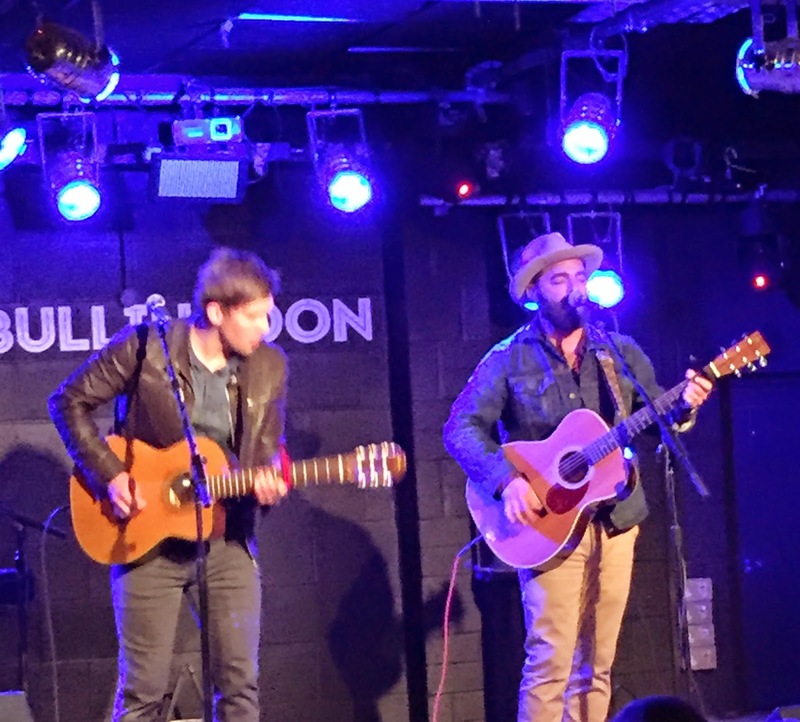 This therefore made Drew Holcomb’s show at The Bullingdon in Oxford totally refreshing and a blueprint that hopefully can be replicated in other towns and venues. The first part of this jigsaw was the easy bit as Drew Holcomb is an immensely accomplished artist with a full toolkit to project his majestic songs to an enthralled audience. The second and trickier piece is the knack of pulling in over 140 enthusiastic people across a diverse age range on a Saturday night in a provincial city. So credit to Empty Rooms Promotions for achieving this and further boosting the evening by booking an excellent supporting artist in Oxford based singer-songwriter Bethany Weimers. 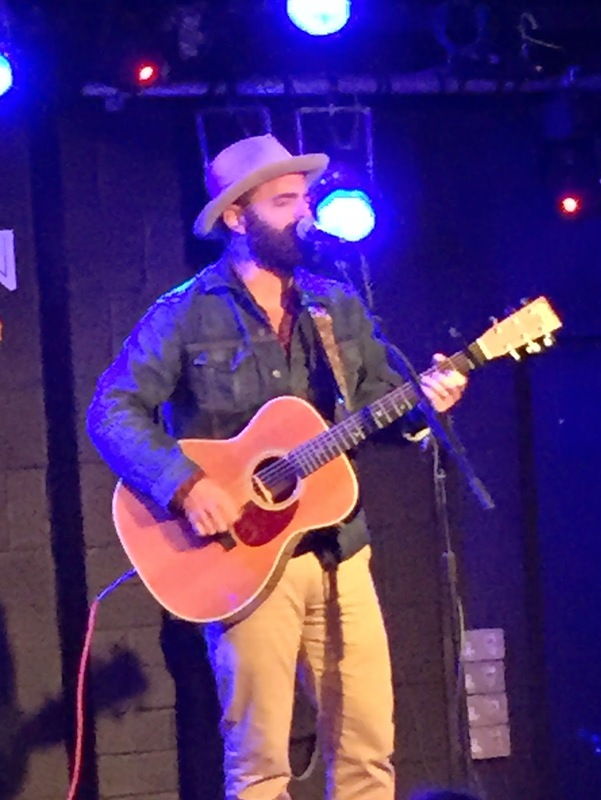 Drew Holcomb is still finding his feet in the UK market but this latest tour to promote his impressive new album MEDICINE may prove the launching pad to playing more evenings like this on future visits. Across a set which just touched an hour and a quarter, Drew set out to bring this record to life in an explicit and clear style aided by extremely strong vocals and a sound system doing justice to the qualities of the music. After visiting the very same venue around a year ago in support of Police Dog Hogan, Drew this time upgraded from solo to duo status with the help of longstanding band member, Nathan Dugger. Introduced as a Neighbour (or Neighbor depending on your approach to English), Nathan has been a member of Drew’s backing band, The Neighbours , for over a decade and tonight ably supported on guitar and keyboard. He also took lead vocals on a song of his titled ‘Good Time Girl’ which appeared on Drew’s 2009 album A MILLION MILES AWAY. However the night was mainly focussed on MEDICINE and before any formal introductions, we were treated to two of its many fine tracks in ‘Tightrope’ and ‘American Beauty’. When taking to the mic to talk about his songs, Drew spoke with great affection about family influence, best highlighted in the tribute to both his wife and daughter – ‘You Will Always Be My Girl’. Most songs were enthusiastically received by a lively audience, who by now had forgotten the venue's work-in-progress surroundings and a subsequent lack of heat on a cold February evening. Vocal participation from the paying punters was easily forthcoming, starting with ‘Here We Go' and gathering pace as the evening progressed. Although Drew has had a decade-long recording career, it has only been his last two albums that have been promoted in the UK with 2013’s GOOD LIGHT providing three of the set’s highlight moments. ‘Another Man’s Shoes’ and ‘Tennessee’ proved to be popular crowd favourites, while ‘Nothing But Trouble’ saw Drew and Nathan pull away from any amplification to conduct the essential gig sing along. When back to plugged-in status, ‘Shine Like Lightning’ saw Drew move the sound up a few notches on a tune that would be immense live with a full band. Added to tonight’s set list was an older song ‘Someday’ requested by one of the, quite a few,‘out of town’ members of the audience. As mentioned in the opening paragraph, the night was made extra special with an opening performance by a young artist raising the stakes a lot higher than your run of the mill support slot. Bethany Weimers possesses a startling voice that adds a folk-tinged elegance to a bunch of self-penned memorable songs packed with interesting tales and observations. 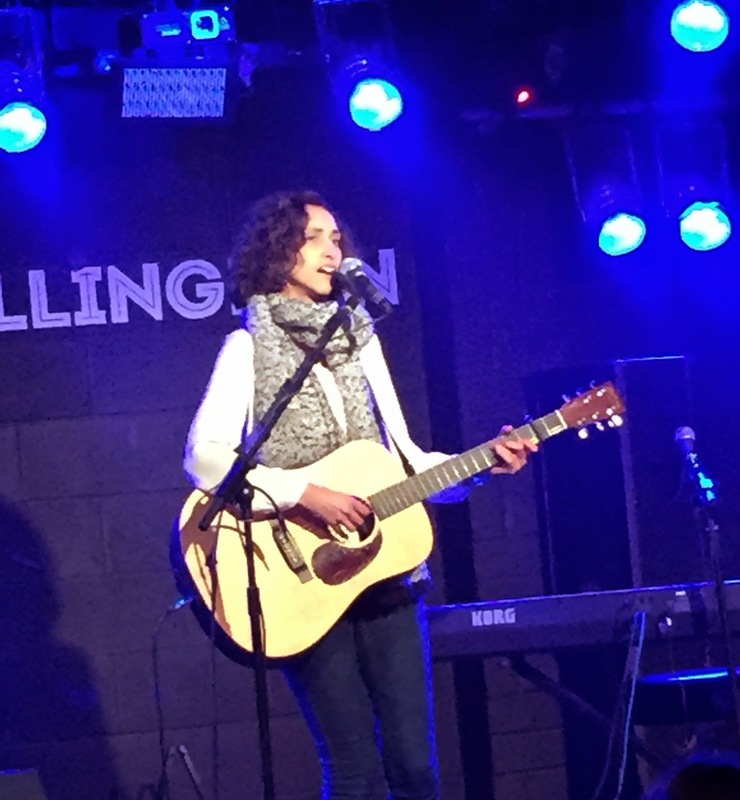 ‘William and His Ghost’ was the pick of Beth’s 35 minute set which included the title song off her solitary album to date HARPSICHORD ROW and a couple of new ones especially ‘I am Gold’, with the last word suitably and amusingly amended to cold. The Bullingdon, now back to its original name after flirting with the Art Bar, served both artists well tonight despite being in the throes of refurbishment. A crystal clear sound meant you could almost transcribe each song from Drew and Beth word perfect. However first and foremost you need to be an artist worthy of such a process and that was certainly in evidence tonight in Oxford. Drew Holcomb is welcome back to the UK at any time and now the only task left is to transplant this audience to support the other wealth of fine artists prepared to share their music thousands of miles from home.